Sie haben eine Frage zum La Villa Langkawi - Private Pool? Das La Villa Langkawi liegt im Pantai Tengah-Bezirk von Langkawi und ist ideal für Freizeit und Entspannung. Nur 10.7 Km vom Flughafen entfernt, lässt sich die 4-Sterne-Unterkunft nach der Landung einfach erreichen. Die Unterkunft liegt in der Nähe folgender beliebter Attraktionen der Stadt: Mc Donald's, Underwater World Langkawi, Your Language Books Corner. Der exzellente Service und die herausragenden Einrichtungen des La Villa Langkawi sorgen für einen unvergesslichen Aufenthalt. Eine Auswahl an erstklassigen Einrichtungen, darunter Gratis-WLAN im Zimmer, 24h-Rezeption, öffentliches WLAN, Parkmöglichkeiten, Zimmerservice und viele weitere, stehen Ihnen zur Verfügung. Die Zimmer dieser Unterkunft wurden für bestmöglichen Komfort und zu Ihrer Bequemlichkeit ausgestattet. Einige Zimmer verfügen auch über die folgenden Einrichtungen: Flachbild-TV, kostenloser Instantkaffee, kostenloser Tee, kostenloser Welcome Drink, Spiegel. Die Freizeiteinrichtungen der Unterkunft (Innenpool, Garten usw.) sind zum Ausspannen bestens geeignet. Sie suchen nach einer komfortablen und günstig gelegenen Unterkunft in Langkawi? Dann machen Sie doch das La Villa Langkawi zu Ihrem Zuhause weg von Zuhause. Pros Great villa. Private and spacious. Quiet as it was slightly away from Pantai Cenang 5 min drive away Staff were friendly Our tv decoder was faulty and they upgraded us to the Deluxe suite for 1 night for free. Great for honeymoon Cons Some mosquitoes in the living room but we didnt get bitten still. Place was still undergoing renovation so from the first impression it looks run down. Pros: Clean private pool, Very professional staff, Great In-room breakfast spread, Peaceful and relaxing environment, Daily housekeeping, Daily stock up of complimentary mini bar, Free shuttle to/from Pantai Cenang, Comfy bed, Large rainfall shower head, Staff willing to go the extra mile Cons: Open roof concept for the pool area so do expect ‘visitors’ such as bats, insects and lizards to pay a visit. 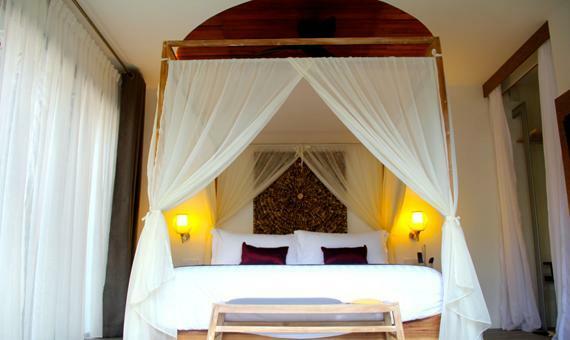 Shower area does not have any privacy from bedroom so this villa is more suitable for couples. However they do have plans to build more family-friendly rooms so we’re definitely looking forward to that. Excellent experience but a few pts to note: - the bridge can b very slippery when wet n can b dangerous if u fall n heat the glass that act as a pool divider.. - Would b better if the toilet door is covered. - very near to chenang beach so food is not a problem. Everthing in this villa amazing ,very smart woner ! Excellent managment ..free transportation to the town , airport ,, free hone to contact with the managment at anytime , complimentary chocolates , juices , drinks , noodles..etc ..highly recommended for the honey mooners ..
We really loved the hotel however it’s pretty pricey for a 4 star hotel. The staff were great and very helpful dispite being fasting for Ramadan they were always on the go whenever we called. Big Thank you to Daniel,Bella, Fadli and Andy and Housekeeping staffs. Love the lush green view and the privacy. The location is good, not too far from Cinnai rd where there’s Good restaurants and duty free shops. We would suggest to place some light bulbs at The entrance of Villa 1 as it’s really dark and sadly we stepped on 2 beautiful snails in e dark and add more flowers. There were insects however we were in located in their home so tht was fine with us. Overall the hotel was good, just pricey, we hope the price could be reduce. We would definitely head back again. We had the best time at La Villa. It was truly an amazing place to relax. We really loved how clean and comfortable the place was. The staff are absolutely amazing. We loved the services they provided - house keeping did a great job and the staff they drove us and picked us up from places were fantastic. We really enjoyed the drinks and snacks that were provided daily. It was replenished daily as well. The villa is situated in a quiet area away from noise. We loved being provided with a mobile phone which was used to contact staff and also the private shuttle service. La Villa would be even better if there were room service (food) available for those times when you just want to stay in and relax. My only negative thing I would say is that I could hear a baby crying for a while next door which staff apologised about. A place we will definitely return to hopefully sooner rather than later. Staff we're excellent with kindest of manners. Shame it was a little too expensive i wanted to stay longer than 3 nights. Overall great place to stay with a 5 minute drive from the main beach strip cenang beach. 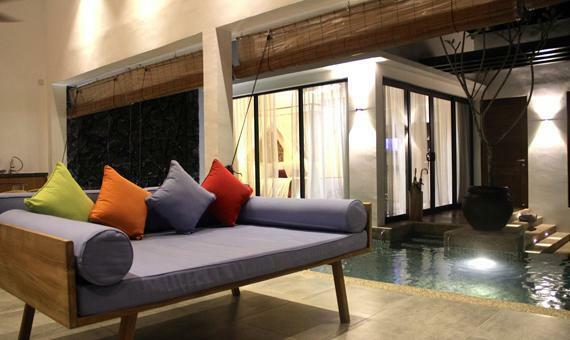 The villas are gorgeous, very private and peaceful with a lovely pool and open air set up. The bedroom and lounge overlook the pool and you have a lovely view over a lush green field. All facilities in the villa are fantastic, full kitchen, cable tv etc. Lovely bathroom and bedroom, it is huge. The room rate doesn't include breakfast, they can do breakfast but at a very high rate (you're better to go out). They can also arrange meals for you to be delivered from local restaurants. They provide free transfers to the shops and back which is only about a 5 minute drive away, also to the airport it's about 20 minutes. We would stay again. Their villa with private pools is awesome.. Their services r so great and they have helpfully staf..
Its really a great place to stay for spending our vacation in langkawi.. Their villa is so great, comfy and so clean.. Their staf r very helpful, friendly and full of informations.. Their services r awesome, they gave us mobile phone for service hotline so we can contact them anytime and anywhere if need some help.. Everyday they give so many free minibar and always different each day.. We got free transport with exclusive car.. Their private pool also awesome.. Everything is beyond our expectations.. We cant describe how much we enjoyed staying there..
My wife and I stayed here on our honeymoon, and we had a great experience. The staff was incredibly friendly and accommodating and made sure to help us with anything we needed. The room was completely private and allowed us to enjoy the pool by ourselves. The room was very clean and well kept, in addition to being beautiful. It was also very easy to order food and have it delivered to the room from local restaurants, which the staff made easy. The area itself is beautiful, and the view from the porch of our room was hard to beat, as it overlooked a vast green space and mountain. The only critique I have were of the geckos, which could sometimes be an annoyance in the living area. The facilities, location and staff. We loved the private pool, lavish bedroom and toilet. Location was perfectly situated with many redtaurants and beaches nearby. The staff was excellent. Perfect we enjoyed it a lot, the weather was a little bit cold so we couldn't enjoy our swimming pool so it's better to install a water heater for the swimming pool. All in all it was a pleasant stay at this property. Very good stay arrangements. The staff were very kind and helpful. We managed to find a car to drive around very easily. The kitchen was appropriately stocked. A completely relaxing holiday. Thanks for making our stay a pleasurable experience. Although it's a bit far away from the major attractions, their staff drive you to most of the places. The staffs are very helpful and nice. I enjoy swimming in the private pool with all the free drinks and snacks there. La Villa Langkawi is a perfect HM accomodation. A guy was our point of contact and he was just amazing in his response and behaviour. The villa is a standalone villa for now but its completely worth the money. 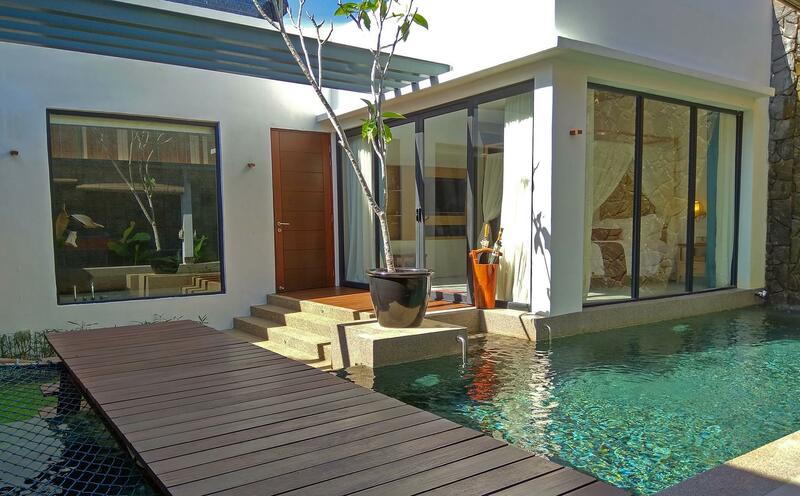 the private pool, the huge bathroom, the aesthetics of the bedroom and living room are really nice and peaceful. With the heat of a beach area the private pool comes very handy. It might feel a little weird at times because of the eerie silence but then the villa is well secured as told us. I would recommend anyone who is looking for a quality accomodation to consider this for the experience. 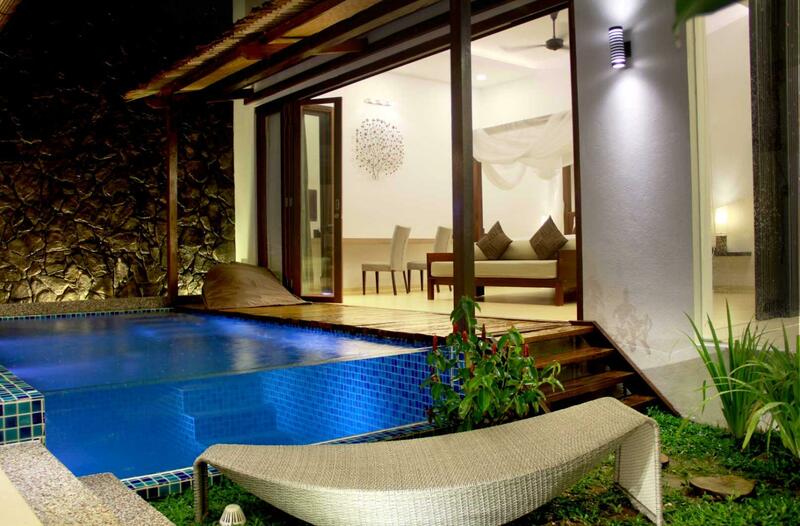 There are more villas in bigger resorts but they are way more costly.